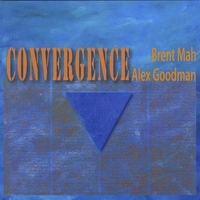 Thursday, June 10, The Ottoman Lounge will be hosting ” Dinner and Jazz” with the music of Brent Mah and Alex Goodman. Seating will be between 6-6:30pm. We are serving the menu from 502 South as well as The Ottoman’s regular snack menu. The band will begin around 7pm. Seating is Limited so we encourage reservations. Call us at 403-504-5689. In addition to our regular wine menu we welcome you to bring in a special wine of preference at a $20 corking fee. 7pm table seating is reserved for dinner guests; however, if your not interested in dinner, not a problem – The quartet will play through dinner, take a break, and begin again around 9pm. There may be seating left available at 7pm so feel free to check with us. There is a $7 cover fee for this event. This entry was posted on Monday, June 7th, 2010 at 11:01 AM and is filed under Music Events, The Ottoman Lounge. You can follow any responses to this entry through the RSS 2.0 feed. You can leave a response, or trackback from your own site.